Find a property you like? Let’s get started. Please fill this online form out completely. Failure to complete this application in full including daytime phone numbers, will seriously delay completion of this application. A non-refundable $40.00 application fee for singles or $55.00 for joint applications MUST be paid on the final step of submitting this application online. Choose "Individual" for a single person application or "Joint" to have additional income or credit considered from a spouse or roommate. A processing charge of $40.00 (Forty-dollars) for individuals or $55.00 (Fifty-five) for joint applications will be retained by the Landlord. Non-Refundable. This application must be signed by all adults who will occupy the housing unit before it can be considered by Landlord. Acceptance of this application and any monies deposited herewith is not binding upon Landlord until approved by Landlord in writing. If approved, all monies deposited with this application will be held as a reservation deposit to be either returned to applicant or credited toward any deposit which may be required of applicant at the time of rental agreement is executed. If the housing unit is held for applicant for more than THREE ( 3 ) days, all monies deposited shall be forfeited to Landlord as liquidated damages. The application may be disapproved as a result in any misrepresentation or insufficient information as a result of an incomplete application. You have the right to make a written request in a reasonable period of time to receive additional information about the nature and scope of this investigation. By submitting this form you are virtually signing it. The applicant(s) recognizes that an investigative report may be prepared whereby information is obtained through interview. This inquiry includes information as to character, general reputation, credit and mode of living. 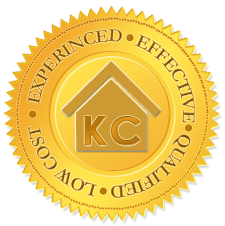 KC Home Rentals ( KCHR ) is hereby given authorization to research all public records for criminal history for the past seven ( 7 ) years. I authorize KCHR to use the submission of this form ( in lieu of a written signature ) as reasonable facsimile of my signature when necessary to verify references and submitted information. I request this submission be fully honored. You MUST electronically sign this document by checking the "Agree to Terms" box and electronically signing the signature box before continuing to the payment option. I agree to the above terms and authorize the described investigation. Once your application has been submitted, your browser will be redirected to a page where you may choose to conveniently pay your processing fee with bank debit cards, major credit cards, or electronic checks through PayPal ( www.paypal.com ). Additional deposits may be required to hold a particular housing unit in your name. If you experience any problems during the payment process, or are not re-directed to PayPal, please contact our office.